This entry was posted in Professional and tagged Career Education Standard, Careers, CPD, DYW, employability skills, energy, Partnership Working, Sciences, Skills, Skills for Learning Life and Work, STEM, Technologies, transition on 28 February, 2018 by K. Mayer. This one day event, organised by Aberdeenshire council with support from Education Scotland, Moray and Aberdeen councils aims to explore opportunities for schools and resilience professionals to work together to help build more resilient communities. Using recent experiences with flooding as a context for developing resilience, this event will provide support for health and wellbeing outcomes in the curriculum as well as those in social subjects and science. Primary and secondary schools from the three local authorities will outline their experiences with developing resilience through the curriculum and there will be opportunities for discussion and reflection during the day. A number of external agencies will be present at the event to take part in discussion and to offer their support with resources to help teachers in schools. This entry was posted in Professional and tagged Community Resilience, DYW, Health and Wellbeing, Learning for Sustainability, Partnership Working, Sciences, Skills for Learning Life and Work, Social Studies, STEM, Technologies, transition, Uncategorised on 16 February, 2017 by Eilidh Soussi. Want to find out how to prepare for emergencies and keep yourself and other safe? Keep reading and find out how this key message can be used as an exciting approach to teaching and learning. Download this flyer for exciting ways to integrate flooding, severe weather and other resilience issues into CfE. Read these case studies to see what this looks like in practice. Are you ready for severe weather, utility failure, flooding or pandemics? Make sure you know what to do. Stay informed, pack a kit, make a plan. creating new written texts like an information leaflet or a safety brochure. Are you doing work around natural disasters, weather, land use, map work? Use community resilience as an exciting approach to cover these topics. By working with local authority resilience professionals you could gain access to information about flood plains, flood protection schemes and other areas of interest in the local area. Local authorities can share data and images from sensors, such as from traffic monitoring, to bring the learning to life in the classroom. Contact your local authority to discover what may be available to help your school learn about community resilience. Scotland’s climate is changing as a result of climate change, so we are getting colder and wetter winters and hotter and wetter summers. Use community resilience as an exciting context to explore these issues. create anemometers to measure wind speed. investigate the impact of severe weather on people, place and the economy, on a local, national or international level. consider how this may affect insurance premiums. This entry was posted in Professional and tagged climate change, Community Resilience, Global Citizenship, Health and Wellbeing, Learning for Sustainability, Outdoor Learning, Partnership Working, Sciences, Skills for Learning Life and Work, Social Studies, STEM, Technologies, transition, Uncategorised, weather on 11 November, 2016 by Eilidh Soussi. Save the Children are looking for two schools to take part in a resilience project that aims to strengthen children’s understanding of emergencies and the actions they can take to prepare themselves, their families and their communities. Click here for more information on the project . It is aimed at children aged 9 – 11 and participating schools will be given a £1000 budget. You can also contact Graham Clark, Programmes Manager g.clark@savethechildren.org.uk for more information. This entry was posted in Professional and tagged Active learning, Broad General Education, climate change, Community Resilience, Global Citizenship, Health and Wellbeing, international education, Learning for Sustainability, Outdoor Learning, Partnership Working, Responsibility of All, Sciences, Skills, Skills for Learning Life and Work, Social Studies, STEM, Sustainable Development, Technologies, transition, weather, Young People on 16 June, 2016 by Eilidh Soussi. This entry was posted in Professional and tagged Broad General Education, Community Resilience, DYW, Health and Wellbeing, Learning for Sustainability, Outdoor Learning, Partnership Working, Sciences, Skills for Learning Life and Work, Social Studies, STEM, Sustainable Development, Technologies, transition, weather on 16 June, 2016 by Eilidh Soussi. The contribution of youth work to address the challenges young people are facing, in particular the transition from education to employment. The Report presents results from the work of the expert group set up under the European Union Work Plan for Youth for 2014-2015. The findings detail the role of youth work and its specific contribution to addressing the challenges young people face, in particular the transition from education to employment. The report seeks to make employers, Public Employment Services and policy-makers aware of the crucial role youth work can play – either as a lead agency or in partnership with others – in supporting the employment and employability of young people. In this context, youth work is defined as ‘actions directed towards young people regarding activities where they take part voluntarily, designed for supporting their personal and social development through non-formal and informal learning’. 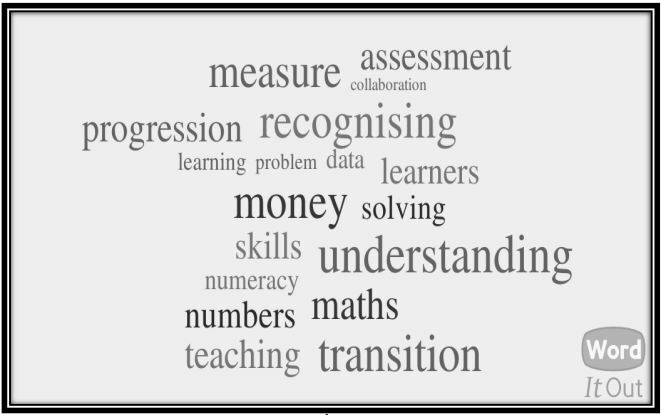 This entry was posted in Professional and tagged Attainment, CLD, DYW, employability skills, Inclusion and Equality, Professional Learning, research, Senior phase, Skills, Skills for Learning Life and Work, transition, Young People, Youth work on 24 May, 2016 by K. Mayer. This entry was posted in Professional and tagged creativity, Expressive Arts, inclusion, Involving Pupils, literacy, numeracy, nursery, Outdoor Learning, Primary, transition on 1 March, 2016 by Sam. 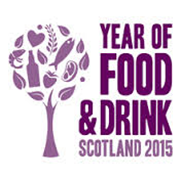 Food and drink offers an engaging and practical context for learning within Curriculum for Excellence and provides opportunities for interdisciplinary learning and for rich and meaningful partnerships between schools, the food and drink organisations and other partners such as academia and research organisations. This event aims to further explore these links and demonstrate to practitioners how to use food and drink as a context for delivering a range of subjects. Recommended for: primary and secondary practitioners with responsibilities for sciences, technologies, food & health and business studies planning for learning and transition experiences from second level to senior phase. This entry was posted in Professional and tagged Biology, CfE, Chemistry, Health and Wellbeing, National Qualifications, NQ, Primary, Professional Learning, Responsibility of All, Sciences, Scottish Year of Food and Drink, Senior phase, STEM, transition on 24 August, 2015 by G. McAllister. 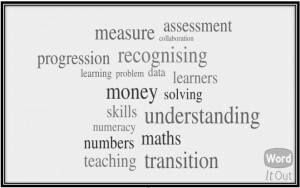 This entry was posted in Professional and tagged Achievement, clpl, financial education, maths, moderation, numeracy, Parents, transition on 9 March, 2015 by Karen Haspolat.